The Colorado Avalanche announced today that the team has signed forward Ryan O'Reilly to a two-year contract through the 2015-16 season, avoiding arbitration. 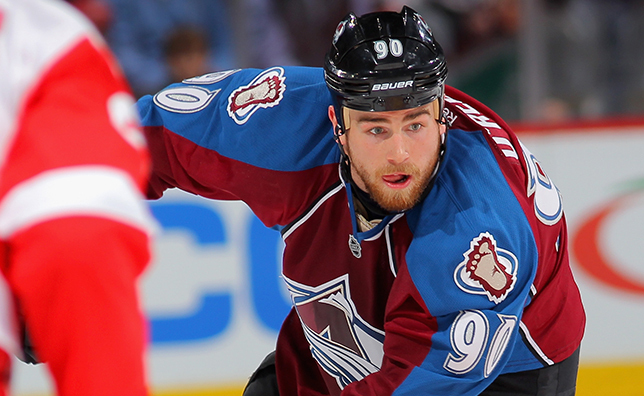 "We are pleased to have Ryan under contract," said Avalanche Executive Vice President of Hockey Operations Joe Sakic. "We are looking at the upcoming training camp and season with a lot of excitement." O’Reilly, 23, captured the 2014 Lady Byng Memorial Trophy for “sportsmanship and gentlemanly conduct combined with a high standard of playing ability.” He became only the second player in franchise history to win the Lady Byng Trophy, joining Joe Sakic in 2001. O’Reilly led the Avalanche with a career-high 28 goals this past season, the most by a Colorado player since 2009-10. He also led the club in power-play goals (9) and game winners (6-tied) and ranked first among Avalanche forwards in ice time (19:49). O’Reilly finished third on the team with a career-high 64 points. A native of Clinton, Ontario, O’Reilly was flagged for just one minor penalty all season, joining Butch Goring (1977-78, Los Angeles) as the only players ever to receive two or fewer PIM over 80 or more games. O’Reilly led the NHL with 83 takeaways, the second time in his career that he’s paced the league in that category (2011-12). He has led the Avalanche in takeaways during each of his four full seasons in the league. O’Reilly went on to finish third on the team in postseason scoring with six points (2g/4a) in seven playoff contests. Selected by Colorado in the second round (33rd overall) of the 2009 Entry Draft, O’Reilly has recorded 191 points (73 goals, 118 assists) in 345 career NHL games. He has added seven points (3g/4a) in 13 postseason contests.